Presenting THE ONE: Pro Deep House, taking your Deep House sound to the next deep level! 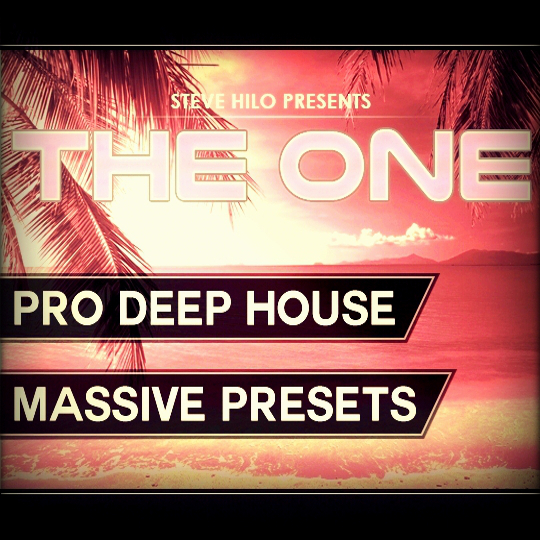 THE ONE: Pro Deep House comes with 100 delicious and deep Massive presets + bonus content from the demo. In this pack you'll find that all of the Massive patches have all 8 macros assigned, as well as randomizing and velocity controlling linked to different parameters on many of the presets! Not to mention how wide, fat and full all of the sounds are! These sounds were made under direct inspiration from loads of different Deep House artists, to get an as useful package as possible that sound as good as possible. Take a look at the demo, and you'll hear the vast usability these presets contain, and how they can take your production to the next level. More than this, it covers a wide range of different types of sounds. All sounds are 100 % royalty free and original, and can be used in all kinds of productions without worrying about any legal issues. This makes Pro Deep House a powerful arsenal, just a click away.